Alaminos, Pangasinan features a collection of 123 islands and islets scattered in the Lingayen Gulf. Boasting its green forestry, azure water and pristine surroundings, the Hundred Islands has been a favorite destination for tourists who are looking for a diversion out of their busy urban life. 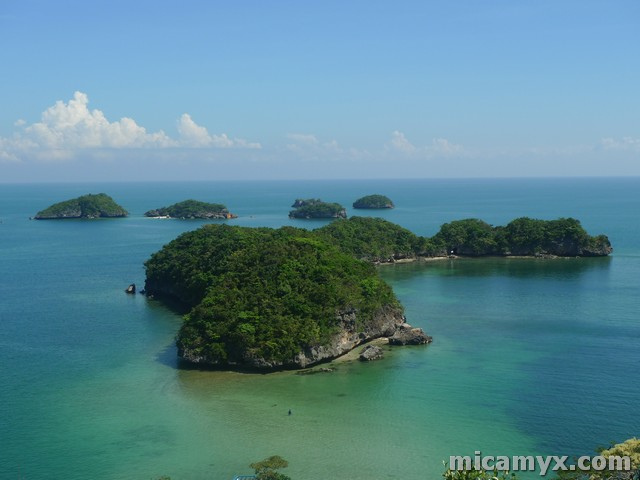 The Hundred Islands is believed to be in existence for about two million years. However, only three of the islands have been developed for tourists. These islands are the Governor’s Island, Quezon Island and Children’s Island. Quezon Island, being the biggest among the islands is the most developed and is known to have the best swimming beaches. Known to have well-developed facilities, it has grown to be popular and most visited among the islands. It features two dining pavilions and grilling areas, perfect for your family’s island adventure. The Governor Island is also a well-developed island, featuring the Pinoy Big Brother house which can accommodate a group of 10 people. But if you are not comfortable to splurge on an island adventure, there are also a few resorts in the vicinity to welcome tourists at a much more affordable rate. From the top, you will find a viewing deck where you can spend a few minutes and enjoy the scenic view of the island. The Children’s Island is the best place for a family adventure with kids on the side. The island is equipped with clear and calm waters, inviting its guests for a dip. The water is shallow and is fit for the kids to enjoy; thus the name children’s island. To get to Hundred Islands, you can take a bus ride to Alaminos, Pangasinan, which would cover around 4-5 hours travel time. From there, you will take 10-15 minute tricycle ride to Lucap Wharf where you will take a boat ride to the islands. A 25-45 minute boat ride will be allotted for a trip to the major islands. You can ask the Hundred Islands National Park Center staff to assist you with information and things that you will need for your island adventure.